After writing 23 articles on the subject of healthy aging I felt it was time to take a “step back” and review for myself – and for you – just what it means to be older – and not old. 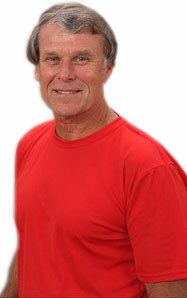 I have explored many facets of the aging process in my articles on AskThetrainer.com – both from “within – and without”. I have stressed the importance of what it means to “choose wisely” in life – and accept the consequences and responsibility for those choices – and the outcomes that result from making them. I believe that our choices determine our path in life and “define who we become” as a result. 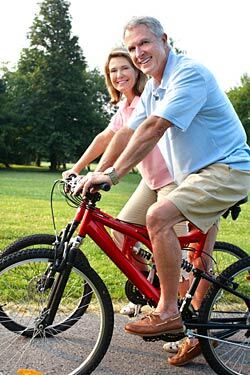 The idea that we “just get old” and die does NOT resonate with me and so for the past twenty two years I have used my experiences as a personal trainer and fitness professional to better understand the “nuances” of aging through my work and just what we DO control in our lives when it comes to “getting older” – and not old. I further believe that what we eat, do, feel, think – and BELIEVE to be true – forms the basis of our understanding of our lives as they ARE – and that this knowledge “fuels” our desire to learn and become more than we have ever been. I felt it would be a good idea to share some of my thoughts – and insights – with you as to how I am addressing my own aging process and what we can learn about ourselves in the process! I have not seen very much in the way of information on the aging process other than some data on cell regeneration and the physical nature of the human body as it grows old. We still don’t know WHY cells die but they DO and some experts believe that there is a “clock” in them that “runs out” leading to eventual organ failure – and death. Research into the longevity aspects of life from studies of “old” people DOES provide some insights into the aging process, but it is typically “anecdotal” evidence leading me to believe that there is much work ahead if we are to truly understand what it is to age and why we eventually die. No one has ever studied ME so I KNOW there is a lot that we DON’T know about healthy aging and I suspect that the medical aspects of the process are NOT clearly understood as a result as well. So where are we on this “continuum” of understanding the aging process? I would say on a scale of 1-10 with 10 being TOTAL understanding, we are at a “2” today – meaning we have a LONG WAY TO GO in the years ahead to grasp the nature of the aging process. I wake up in the morning thinking about my life and what it is I AM CURRENTLY doing to enhance my journey in life. I think about the choices I am facing – and making, the path I am on, the relationships I am forming – or not forming, my family, my health and fitness goals, my work, my evolving passion in the world of speaking, writing, and teaching and finally, I think DEEPLY about my spiritual connection to life – specifically MY life. So when I “check in with myself” I am “checking into my life” and just where it stands RIGHT NOW. I believe the “daily checkup” is CRITICAL to healthy aging and how many of us take this responsibility seriously at all? I believe the answer is NONE OF US because we are too busy “doing” and NOT “being”. The reality of aging to me occurs “in my mind” through my beliefs as to who I am – and want to become. Today MOST of us – not all of us – are concerned ONLY about “getting and spending” and finally – retiring. This aspect of modern life seriously displeases me because I KNOW that what we create on the “outside” is a merely a reflection of who we are “on the inside”, leaving me wondering just WHAT IT IS that we DO VALUE about our lives. Do a mental, emotional, physical, and spiritual “checkup” EVERY day and you will find the “holes” in your thinking – and actions. To really understand yourself it is imperative that you spend part of your day examining just WHO it is you are and HOW you are living in the world. I believe the most important minutes of my day are spent in meditation and prayer and this is why I covered this topic in 3 parts during this series – and THAT only scratches the surface of the potential that can come from dedicating yourself to this practice. Finally, and obviously, I am STRONGLY dedicated to my fitness programming and absolutely LOVE what I do as a runner and weight lifter. I believe in the power of our physical beings and as I train in my 60’s in preparation for my 70’s, I am beginning to see that I have limited myself in my past to a mediocre result. I never knew I could run 7 miles in under a 6:00 per mile pace until this year! I can now routinely run under 6 minutes per mile during my 7 mile run and this week I have done just that 3 out of the five running sessions! I am also committed to that 6 minute mile on my 80th birthday which is helping me tremendously during this decade to stay on track with my daily, weekly, monthly and yearly goals (I passed 1700 miles for the year today – October 13, 2012 – on pace for 2170 miles for the year!). I am staying extremely strong through my resistance training program and the one area I need to more fully engage in is balance in my life. I want to develop more relationships and greater access to helping a wider audience in order to make a more significant contribution – and “touch more lives”. To begin a new life through practicing the principles of healthy aging just start NOW – and don’t put it off for even a day for tomorrow may not come after all! Now that I have shared with you what it is that concerns me personally about my own aging process, the question becomes what do YOU want to focus your energies on as you grow older – and not old? What is it that “turns you on” or “gets you out of bed” in the morning? Is it just to go to work and get through the day or is it to accomplish something, to learn something, to give something, or to accept something? These and other questions – and priorities – are yours to address – not mine. I am taking the time to do the work that is necessary to “stay out of the hospital and not be on drugs” because I WILL NOT be a part of the medicated, “sitting of America” society! If you won’t do something about this massive dilemma, who will? I say ALL of us have a stake in the outcome of whether we TRULY will live healthfully – or die a slow, agonizing death! The time is NOW and the place is RIGHT WHERE YOU ARE! Let’s begin today to become conscious and “choose wisely” because tomorrow has a way of “showing up” faster the longer we live and isn’t that the REAL dilemma?